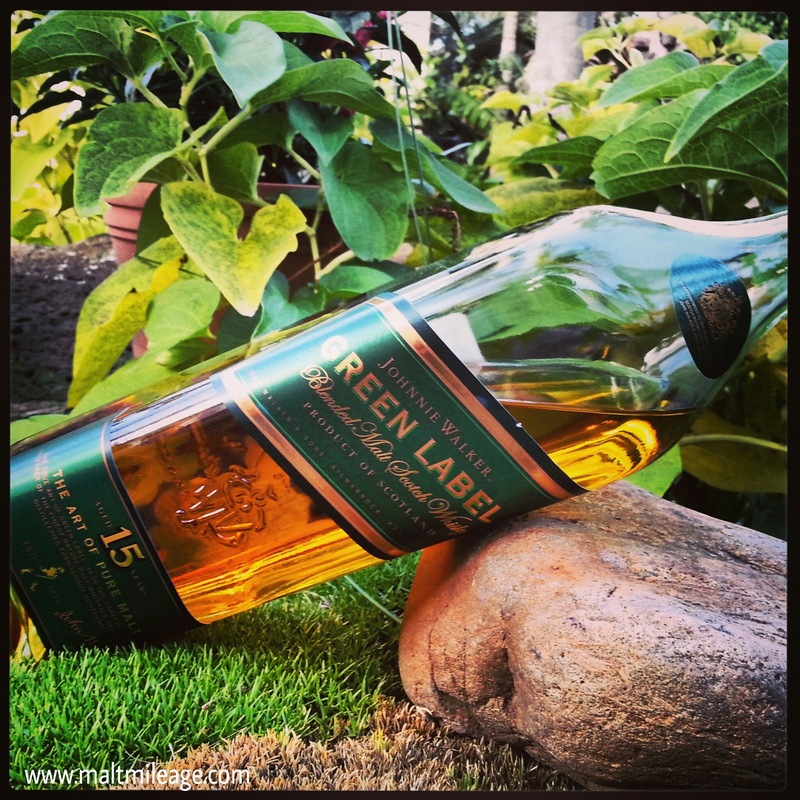 The Johnnie Walker Green Label is the only blended malt in the Johnnie Walker range, which means that it is comprised of malt whiskies and no grain whisky. The malt whiskies that have gone into this whisky come from Talisker, Linkwood, Cragganmore and Caol Ila, which explains the fireworks I experience on the palate when I taste this whisky. This is another Johnnie Walker that takes people on a journey through the whisky regions of Scotland; the smokiness of Islay (Caol Ila) puffs into the air with softness as it is mellowed by the fruity sweetness of Speyside (Cragganmore, Linkwood) as a saltiness gentle crackles in the sea of character. That is precisely how to describe this whisky, as a sea of character. Buttery shortbread add some lusciousness to the malt and sweetness, though the smoke is only light but plays its part in balancing the other flavours to create a whisky that is close to perfect. All contribute to the masterful harmony that is the Johnnie Walker Green Label. The Green Label will unfortunately be phased out as the new Platinum Label and Gold Label Reserve begin to fill our shelves. Within the gentle smoke is the bitter-sweetness of marmalade that glows gently with some notes of vanilla and spice, as butter shortbread adds a lovely rich aroma that is layered with sprinklings of nuts and earthy manuka honey. The layers in this whisky are a noticeable and characteristic of the regions, but merge beautifully to create one almost perfect whole. Hints of wood now develop as as dry smokiness wafts up from the glass, but that dry smokiness is not overly “peaty” despite the Talisker and Caol Ila in this blend. 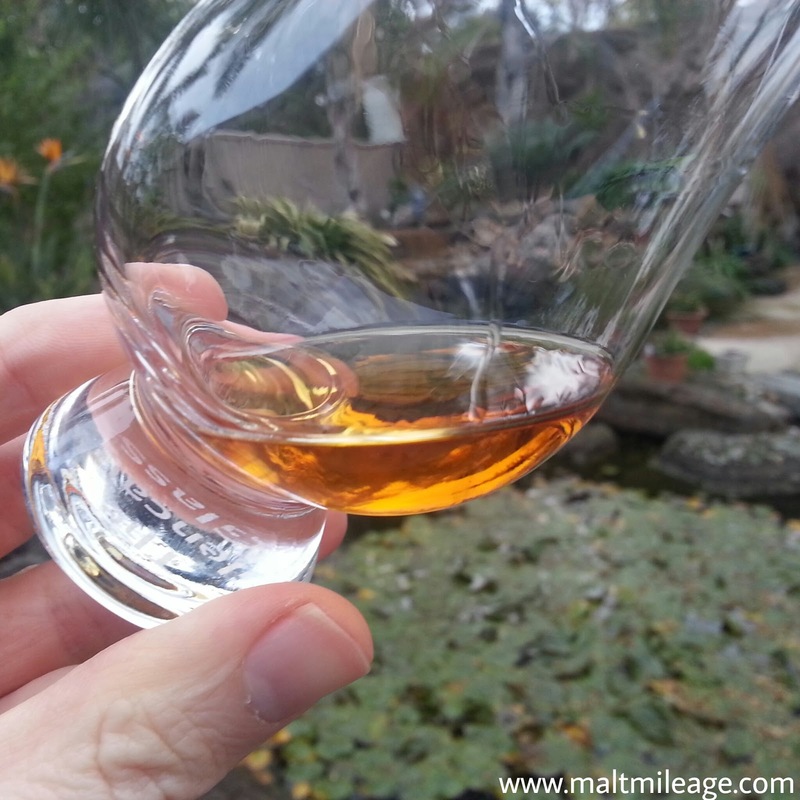 Dried apricots add further variety to a wonderful blended Scotch. A powerful explosion of dried fruit hits the tongue as the oak delivers a complex array of spice all within the most gentle cloud of dry smoke. The whisky explodes like fireworks on the palate, with cracks of smoke here and bursts of colourful fruit there. What I love about this whisky is its density and weightiness that delivers such a varied and controlled explosiveness of diverse character! There are simply too many flavours to mention, but a fruit basket of fruit (apple, pear, apricot, peach, cherries) shines within gentle smokiness that never overpowers but adds a dryness to balance the sweetness as spicy oak and cocoa add some sharpness. The bitter and spicy oak bursts on the tongue with honeyed sweetness and the slight sting of the darkest of chocolates, and all this lasts for a long time. It moves along the tongue like a gentle tide, receding for a moment then returning just as quickly as it left. The fruitiness shines on the palate too. This is a whisky that offers sweet, sour, salty, bitter and savoury on one magnificently crafted blended malt. I have noticed bottle variability, one was outright poor, unbalanced and bitter, That went into my mixer decanter. But others have been very good even if the marine/smokey component has varied from light touch to middling. Batch variation? An absolute bargain if you are lucky.